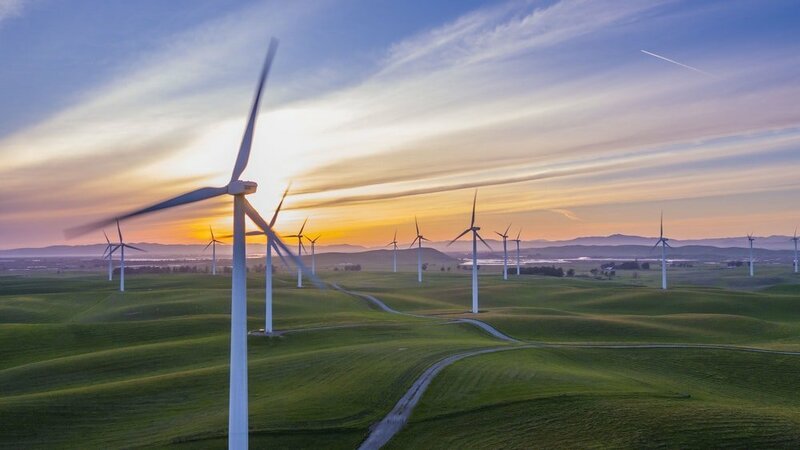 Google has announced in its official blog post that it has enhanced the feasibility of wind energy by using AI software created by its UK subsidiary DeepMind. Renewable energy is the way towards lowering carbon emissions and sustainability, so it is imperative that we focus on yielding optimum energy outputs from renewable energy. Renewable technologies will be at the forefront of climate change mitigation and addressing global warming, however, the complete potential is yet to be harnessed owing to a slew of obstructions. Wind energy has emerged as a crucial source of renewable energy in the past decade due to a decline in the cost of turbines that has led to the gradual mainstreaming of wind power. Though, unpredictability in delivering power at set time frame continues to remain a daunting challenge before the sector. Google and DeepMind project will change this forever by overcoming this limitation that has hobbled wind energy adoption. 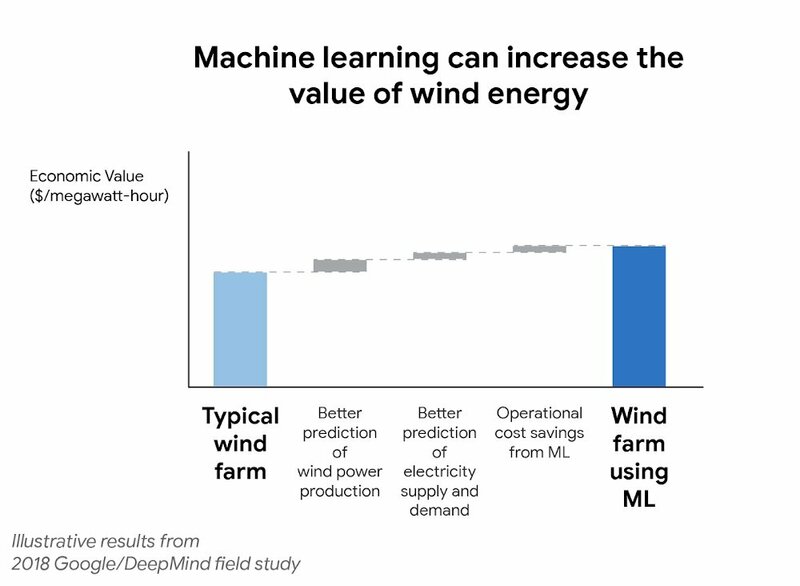 With the help of DeepMind’s Machine Learning algorithms, Google has been able to predict the wind energy output of the farms that it uses for its Green Energy initiatives. “DeepMind and Google started applying machine learning algorithms to 700 megawatts of wind power capacity in the central United States. These wind farms—part of Google’s global fleet of renewable energy projects—collectively generate as much electricity as is needed by a medium-sized city”, the blog says. Google is optimistic that it can accurately predict and schedule energy output, which certainly would have an upper hand over non-time based deliveries. Taking a neural network that makes uses of weather forecasts and turbine data history, DeepMind system has been configured to predict wind power output 36 hours in advance. Taking a cue from these predictions, the advanced model recommends the best possible method to fulfill, and even exceed, delivery commitments 24 hrs in advance. Its importance can be estimated from the fact that energy sources that deliver a particular amount of power over a defined period of time are usually more vulnerable to the grid. Google is working to make the algorithm more refined so that any discrepancy that might occur could be nullified. Till date, Google claims that Machine Learning algorithms have boosted wind energy generated by 20%, ‘compared to the to the baseline scenario of no time-based commitments to the grid’, the blog says. Completely doing away with wind variability is next to impossible, but Google claims that Machine Learning and AI would indeed make wind power more predictable and hence more useful. This unique approach would surely open up new avenues and make wind farm data more reliable and precise. When the productivity of wind power farms in greatly increased and their output can be predicted as well as calculated, wind will have the capability to match conventional electricity sources. Google is hopeful that the power of Machine Learning and AI would boost the mass adoption of wind power and turn it into a popular alternative to traditional sources of electricity over the years. With an average of 55,000+ unique visitors per month, http://www.geospatialworld.net is easily the number one media portal in geospatial domain; and is a reliable source of information for professionals in 150+ countries. The website, which integrates text, graphics and video elements, is an interactive medium for geospatial industry stakeholders to connect through several innovative features, including news, videos, guest blogs, case studies, articles, interviews, business listings and events.